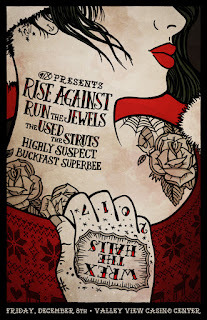 (San Diego, CA) San Diego’s iconic alternative radio station 91X surprised audiences over the weekend by announcing a second 91X Wrex the Halls concert with Rise Against, Run the Jewels, The Used, The Struts, Highly Suspect and Buckfast Superbee. The concert will be Friday, December 8 at Valley View Casino Center, the night prior to the already-announced Wrex the Halls concert on Saturday with The Lumineers, Vance Joy, DREAMCAR, The War on Drugs and Arkells. 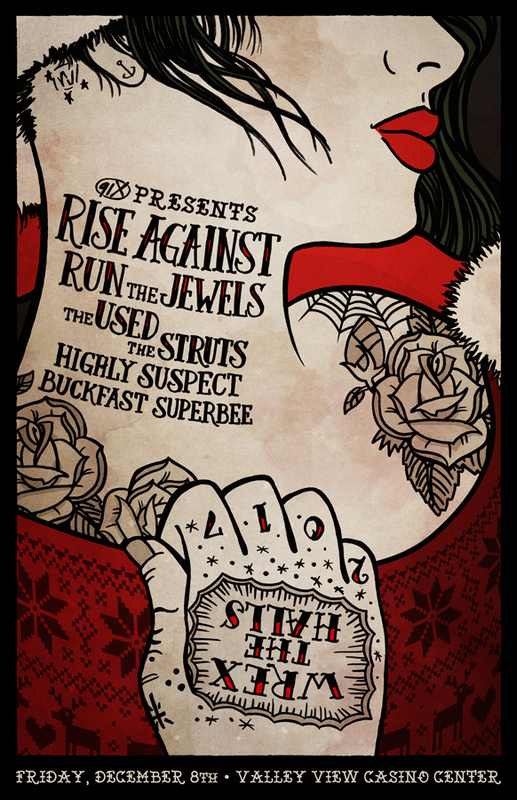 An exclusive pre-sale for 91X listeners started today at 10:00 AM via a special pre-sale code. Tickets to Wrex the Halls Friday night go on-sale to the general public on Wednesday at 11:00 AM at AXS.com and without service fees at the Valley View Casino Center box office.